The ultimate chain for all round bicycle security, the innovative City chain is built around a nigh-on impenetrable multi layered hardened steel lock body with Powercell technology and the ultra-secure X-Plus locking mechanism. 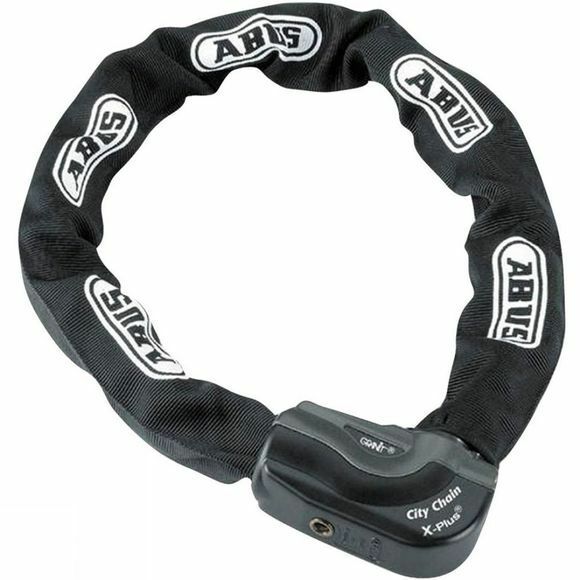 The most high-tech, high-security integrated chain lock that ABUS makes, the Granit CityChain X-Plus 1060 is designed to keep your bicycle safe in areas of high risk. 2 keys are supplied (1 with integrated LED) while the code card offers the convenience of replacement or additional keys upon request.